Eric on the Class 5 exit to get out of Coyote Gulch near Jacob Hamblin Arch. Hello! What a great photo. My husband and I just took route out of Coyote Gulch, and it about scared the tar out of me. It also seemed to scare my camera, so I don’t have any photos from the climb. I’d like to do a post for my blog about the hike, and would appreciate it if I could include a link to your page. Would that be OK? Thanks for your time. Absolutely beautiful. I’m chicken with steep hikes, so I do appreciate your pictures! Just found this blog. 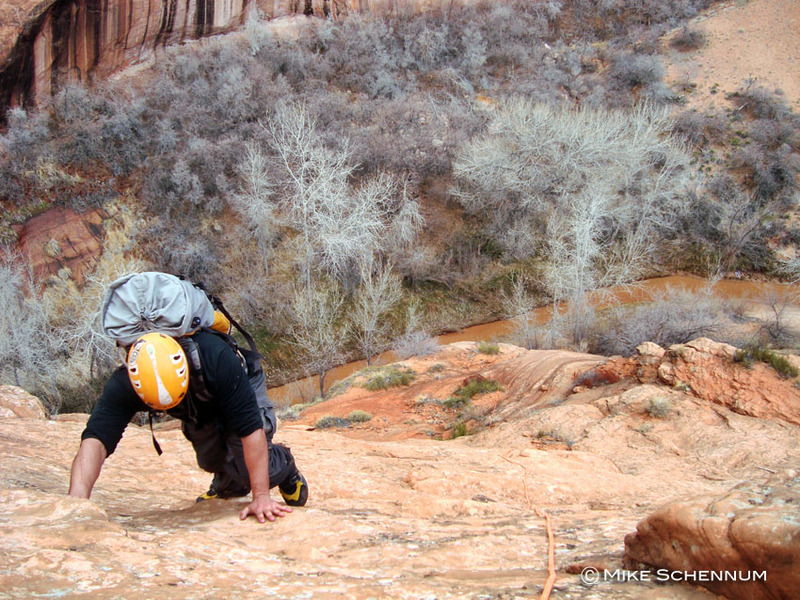 Have you done any of the canyons going down toward the Escalante from out Spencer Flat Road? Those are cool, but a lot is too technical for just me and my feet, no rope.